And, if you know me, you know that, indeed, the whole thing is an homage to Alice Walker and The Color Purple. Without that wonderful book, I could not have had the courage to write about Eve and Evangeline and Maisie and their cultural journey. Alice Walker made me aware that one could write about the country people I know in a way that reveals the drama of living under threat of violence but also the courage that sustains and guides them. Maisie and Celie have much in common: useful people whom other rely on, who live within themselves with great grace. And, like Celie, Evangeline becomes a person whom others rely on, even when their safety concerns no one but themselves. One of my earliest memories is of a cross burning near a Black sharecroppers house on a deep Southern night. (This was in a county bordering Hart County.) I was perhaps five. What happened to the family I was never able to discover. But I remember my mother screaming in fear, my father’s quick turn of the car in the road, and the implicit warning in their brusque refusal to explain: We must keep on the good side of these people. My memories of early years in Hart County are full of long rambles down hot dusty roads like the one that begins Eve’s Garden. Would you like to know more about what inspired me to create the world in which Evangeline and Eve find each other, a Romani grandmother and a young girl who wants to fly with the swallows? 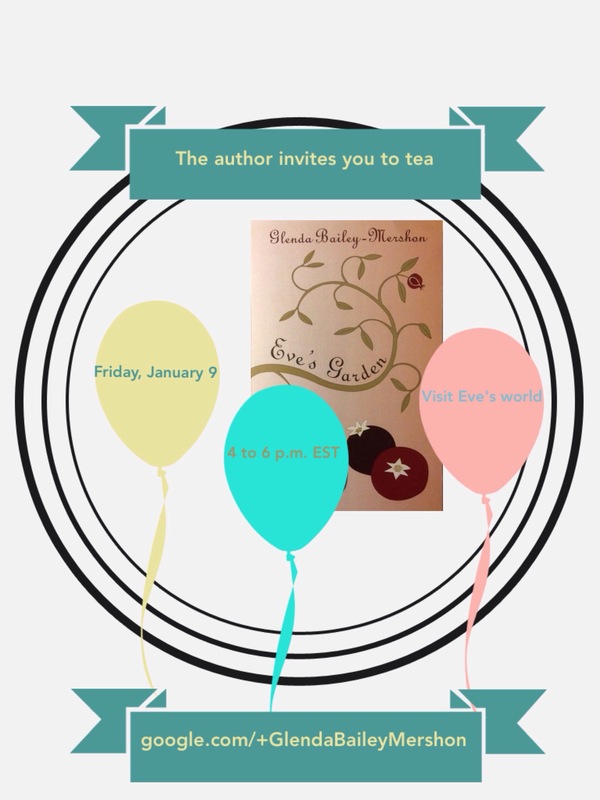 Please join me for a Google hangout this coming Friday, January 9, from 4 to 6 p.m. EST. Please check the link in the accompanying invitation to connect with me prior to that time. Bring your favorite beverage and let’s talk about what goes on down dusty roads. Balancing Male and Female Traits, or Merely Being Human? Io sono per i vecchi metodi: carta e penna!Internet è sicuramente fonte d'ispirazione ma è troppo dispersivo, e se hai i minuti contati finisci con il &qT!o;procastinare&qutt;!o!ui scrivo dall' Iphone e ti chiedo:"Ma una versione mobile del blog?!" Ricordo carta e penna. Li ho usati prima che avessi l’artrite nel mio polso. Questo blog non legge bene sul tuo iPhone?